Visiting the family lake house is a classic summer pastime, and to some, it’s a long-running tradition. Some traditions, however, can lose their shine over time. Mix things up with these fun, family-friendly ideas that everyone will love. A larger-than-life-sized water slide is foolproof fun the entire family can enjoy. The tools you need to make one yourself are minimal. First, roll out the tarp/boat wrap to its maximum size. Slip n’ Slides can be fun anywhere, but for maximum excitement, we suggest setting up on a hill! Once you have your tarp or wrap laid out, secure the corners and edges of your slide with tent pegs. Think about pulling the material tightly to ensure a smooth surface. After that, take your dish soap and cover your base material with it. One helpful trick is to remember the heavier or thicker the soap, the more extreme the slip! All that’s left from there is to turn on the water and get sliding! Once you’ve had your fill of the slip n’ slide, bring the fun indoors with this delicious recipe by Two Sisters! These lake-themed sweet treats are sure to go over swimmingly. Be sure to check the box’s list of ingredients for additional supplies. For your frosting, you can either buy pre-made icing at your local grocery store, or make your own with the recipe found here. First, bake a batch of your favorite flavor cupcakes. This will take between 10 and 20 minutes. While your cupcakes bake, prepare your frosting. If you have chosen to make your own, you can expect the process to only take a few minutes. Next, use the food coloring to make batches of yellow, blue, green and pink frosting. Once your cupcakes have finished baking, set them aside to cool. As they cool, take your M&Ms and separate them by color. You’ll need approximately 15 candies for each fish’s scales and two red candies for each fish’s lips. Once cooled and frosted, it’s time to add “scales” to your rainbow fish cupcakes! Start with one row of scales in the center of the cupcake and continue adding rows until half the cupcake is filled with M&M scales. Next add your candy eyes or tiny marshmallows, and finish off your treat with two red M&M lips! You know those sodas you enjoyed by the water earlier? Well don’t throw away those old 2-liter bottles just yet! It’s super easy to re-purpose them for some healthy family competition. To start, just add a few ounces of pebbles or sand to the bottom of each bottle for weight. Then just set them up and play ball. Be sure to pick your teams wisely! For an even more unique experience, you could add some glow sticks to each bottle for a little bowling after dark. Memories of long days spent at the lake are some of our most cherished. These simple ideas offer just a few ways to keep those memories coming for many years into the future. 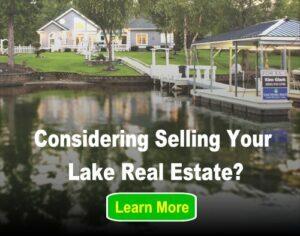 For more family fun at the lake, check out these other LakeHomes.com articles: “Unique Boats for Family Fun” and “Fun Outdoor Games for the Family”! Fun Wildlife Family Activity at Your Lake – Can You Find These Animals? Previous post: Owning a Pool: Is it Worth it?